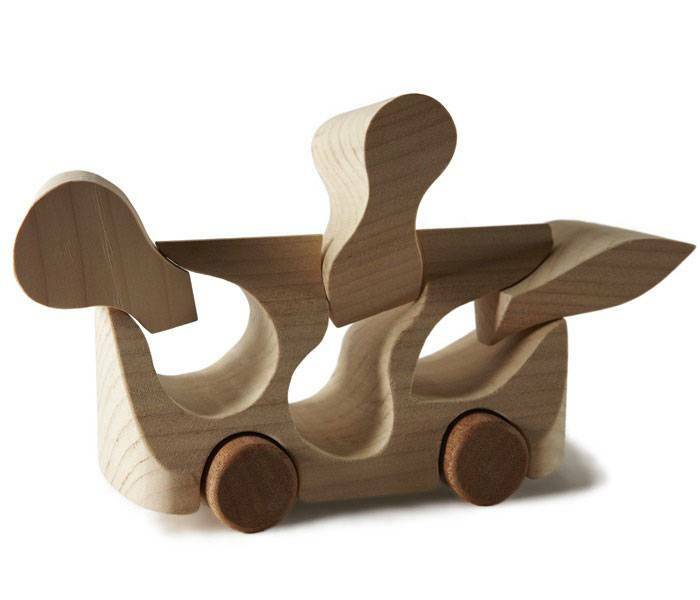 Italian designer Matteo Ragni wants you to stop for a moment and think about toys. With the holiday shopping season upon us, the timing couldn't be better. Ragni's latest project, called TobeUs (pronounced "To be us"), was inspired by watching his nine- and six-year-old sons play. It wasn't an enjoyable experience. They would quickly grow bored with new toys; soon enough, cars bought by their grandmother would be forgotten – or worse, broken. "I saw my children playing with plastic toys designed to die in two weeks," Ragni says. 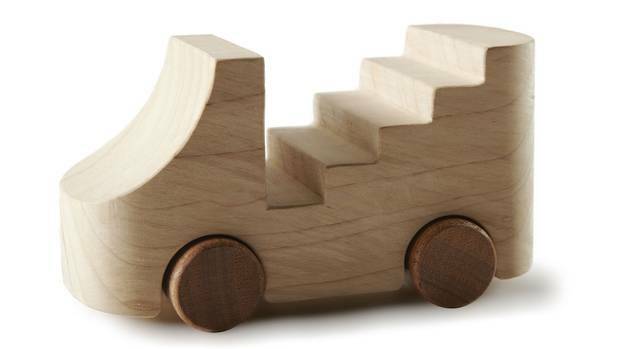 Instead, the designer wanted playthings his kids could cherish for years to come – and ideally, they could learn something about conscious consumerism, too. With TobeUs, he invited renowned designers and architects – including Karim Rashid, Fernando and Humberto Campana, Mario Bellini and Marcel Wanders – to design a longer-lasting toy car. Each one is fashioned from a block of Lebanese cedar – a wood chosen for its fragrance – and made with just two cuts, one longitudinal, one transversal. 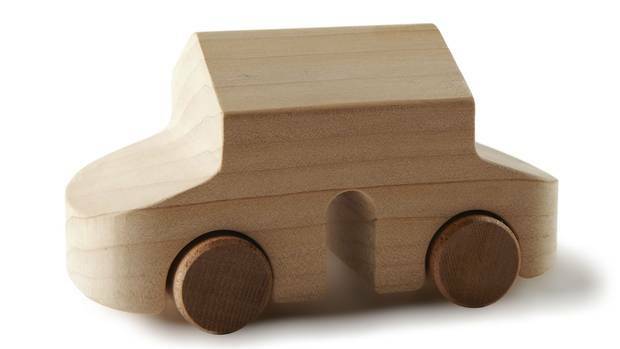 Wooden cars aren't new, but every designer who has contributed to the project has put their own stamp on the tradition – and the results are worthy of an exhibition. "100 per cent TobeUs: 100 Designers for 100 New Toy Cars" was first shown in Milan and is now on display at the Design Exchange in Toronto. 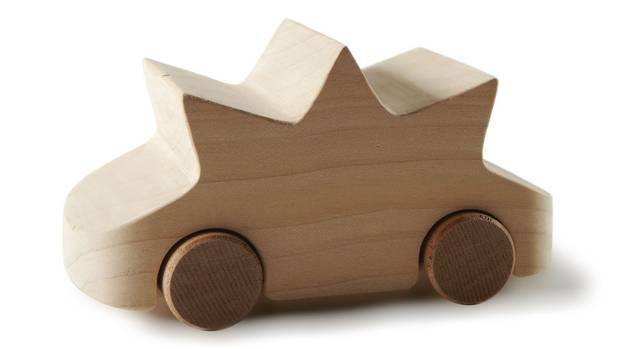 The Design Exchange invited 10 Canadians to fashion their own wooden vehicles, including Philippe Malouin, Patty Johnson, Michael Green, Zoë Mowat, Jonathan Sabine and Hariri Pontarini Architects. The exhibit, which runs until February, will appeal to children and professional designers alike, says Design Exchange president Shauna Levy. Some of the cars, 11 in all, can be bought online at tobeus.it. They range in price from €48 to €98, or approximately $68 to $139. 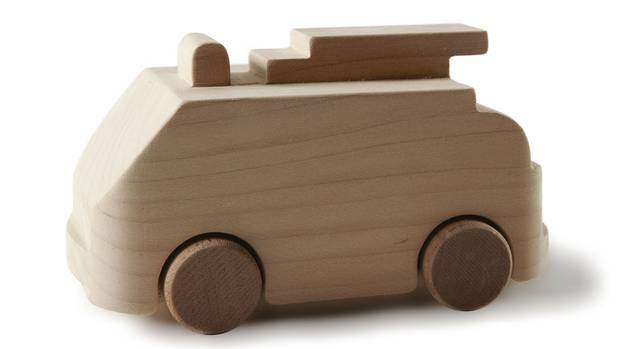 Many of the shapes in the exhibition are recognizable race cars, trucks and vans. Others have a more creative flair. Tomoko Azumi's creation, for example, is able to transport five pieces of toast in separate slots. The architecture firm Laudani & Romanelli designed one that comes with a set of blocks atop it. Marcel Wanders' vehicle is a tree jigsaw puzzle on wheels. 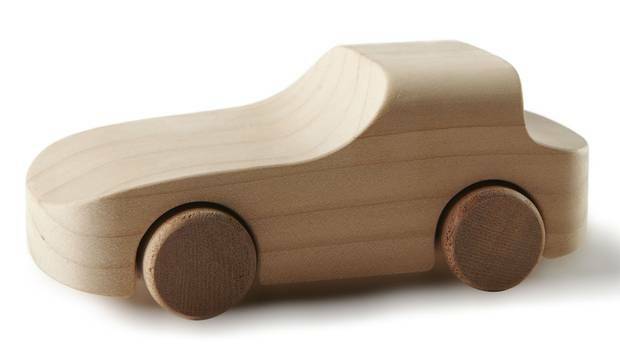 Even with all these variations, the cars have a simplicity rarely seen in kids' toys today. They're not painted, and nor do they have any bells or whistles. Montreal's Mowat designed a car with two faces, inspired by one of the exhibition's core themes: storytelling. "You can flip it around, you can change the story," she says of her car. She also wanted to create something that was both a car and something else, leaving room for a child's imagination to run wild with it. That, in essence, is Ragni's hope for TobeUs. He wants us to buy less things but "better things." But he also wants people to rethink what the toys we buy our children say about our often unexamined values. Do we care whether something will last when we purchase it? Do we care if it will be cherished or not? Do we want it to open up a kid's imagination? Ragni hopes that we'll start asking questions like these while touring the exhibition, and while playing with these cars with our kids. "I want people to see objects in a different way," he says.